The ‘Lollipop’ rapper was sentenced yesterday (08.03.10) and taken to New York’s Rikers Island prison after a number of delays to the start of his imprisonment, for being caught in possession of a loaded firearm found on his tourbus in 2007, which he pleaded guilty to last year. Wayne – real name Dwayne Carter – was originally due to enter prison in February, but the sentence was delayed as he needed to undergo surgery on his teeth. The hearing was then put back again last Tuesday (02.03.10) when a fire broke out in the New York court room which led to his case being cancelled. Ahead of going to jail Wayne tweeted: “Law is mind without reason… I’ll return.” Wayne will be held in a separate wing of the prison to the general population of inmates because of his fame, although he will be able to spend time with 17 other convicts – separated for similar reasons – in a TV room. The prolific songwriter has also vowed to keep working while serving time, saying recently: "I’ll be still rapping in there, have a gang of raps ready when I come back home." 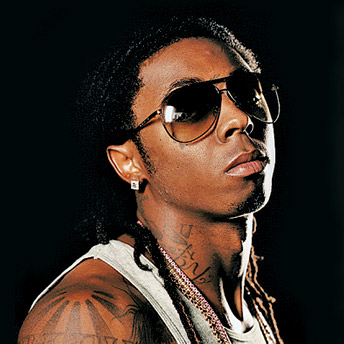 Wayne is expected to be released in approximately eight months, with good behaviour.